Since we operate in such complex and often unstable environments, the 10th principle of the UN Global Compact is especially relevant to us. It requires participants to not only avoid corruption, but also to develop policies and concrete programmes to address it. 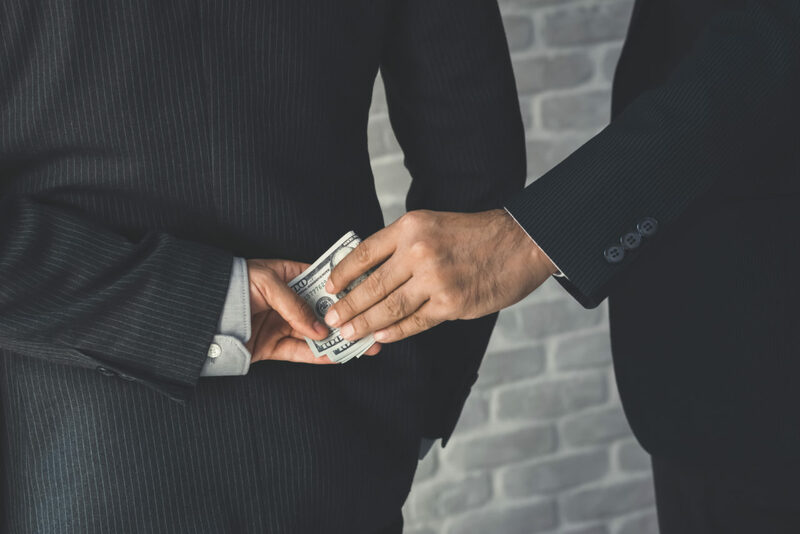 RA’s zero-tolerance position on bribery and corruption is clearly stated in the RA Code of Conduct and two specific policies: our RA Anti-Bribery & Corruption Policy and our Gifts & Hospitality Policy. Employees are made aware of our position both through policy training and through hard-hitting anti-corruption posters displayed at our sites. Anyone who witnesses or suspects a violation is encouraged to report it to their Line Manager or the RA Compliance Manager, or to submit a report via our independent whistleblower channel. In 2018, following a noticeable increase in the number of prostitutes in the bars of Bangui, we decided to draw special attention to our Anti-Slavery Human Trafficking Policy and Sexual Exploitation Policy. The Nairobi-based counter-trafficking organization Awareness Against Human Trafficking – HAART Kenya (see www.haartkenya.org) helped us devise and later run awareness-raising workshops with RA employees in Nairobi and Bangui. These excellent workshops served to highlight the benefits of communicating more proactively about our HR policies. Starting in November 2018, we conducted the first of what are now regular companywide policy training sessions. 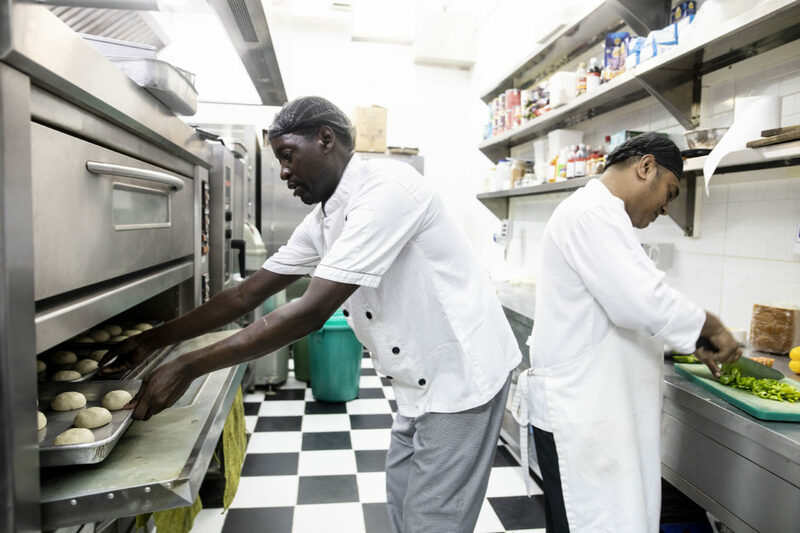 After analysing the impacts of importing and storing large volumes of wraps at our Mogadishu site, we decided to upgrade our own kitchen equipment and make the wraps in-house instead. In this way, we were able to lower transport impacts and reduce the energy required for cold storage. On-site production also has the added advantage of employing local manpower and ingredients. 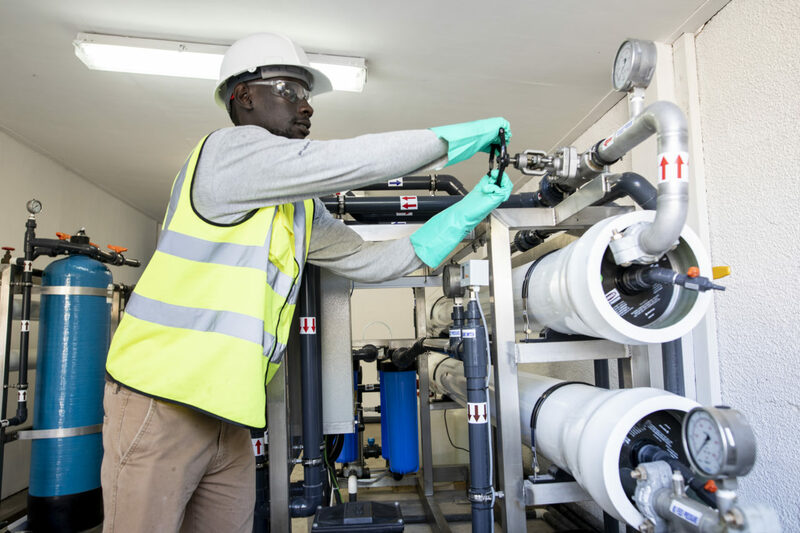 In Mogadishu, we installed two large reverse osmosis (RO) units to provide drinking water for our entire camp. Water is pumped from a 50-metre deep borehole and led to the RO units, which treat it to drinkable quality. The upgrades eliminate the need for an estimated 15,000 plastic bottles per month. 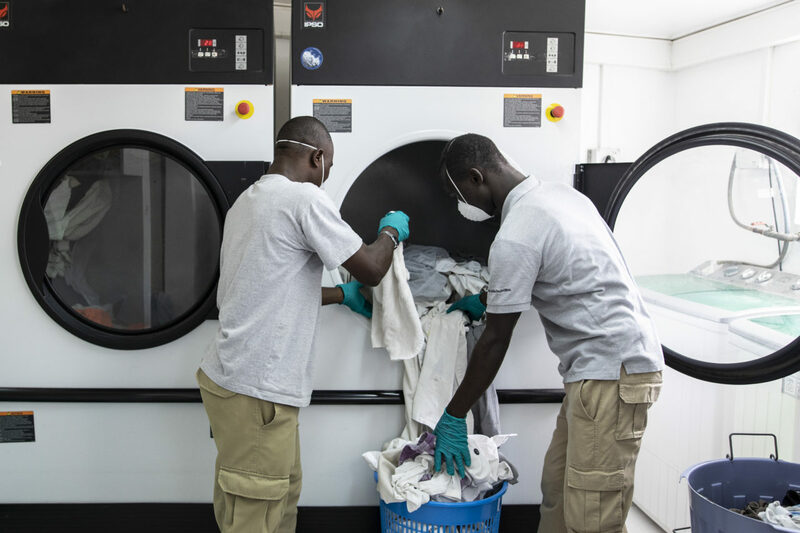 In 2018, we piloted a new laundry design at two camps in CAR and one in Somalia. The equipment filters and recycles water at various stages of the wash process so it can be reused for the washing cycle of the next load. It also recovers heat for re-use, further reducing electricity consumption. Projected savings are 25 - 30% less energy and 50% less water. The total utilities savings over a twenty-year period (the equipment’s lifetime) in these three laundries alone will be 24 million litres of water and over a third of a million kWh of electricity. Following the success of these pilot projects, we have decided to implement the new design as standard. 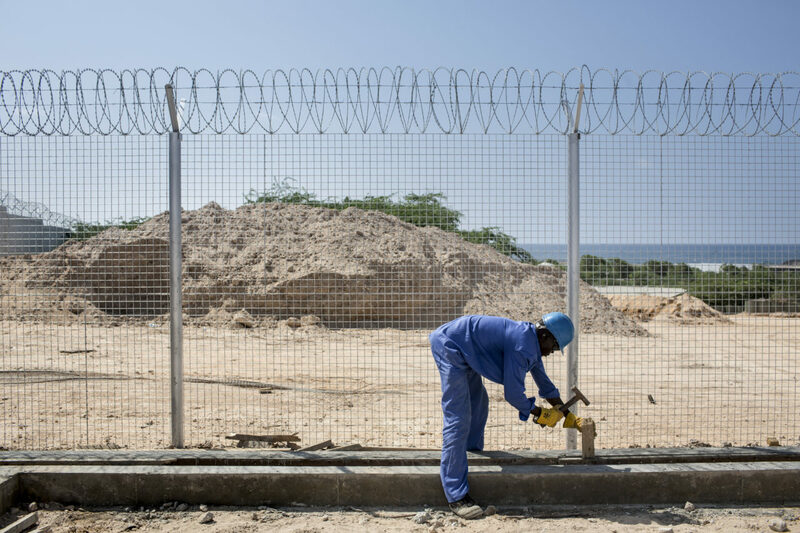 When RA first started working in Somalia in 2009, the country faced severe challenges. 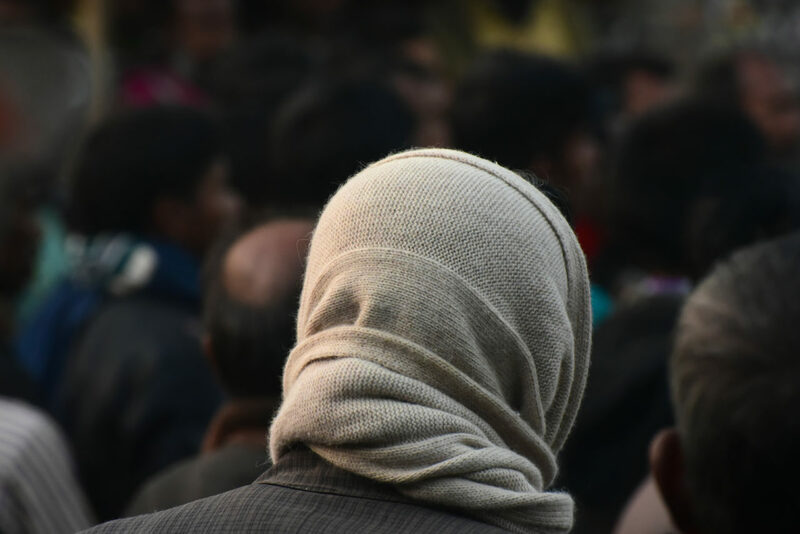 There was a transitional government, virtually no infrastructure and the local population had lived much of their lives in a conflict-ridden state. 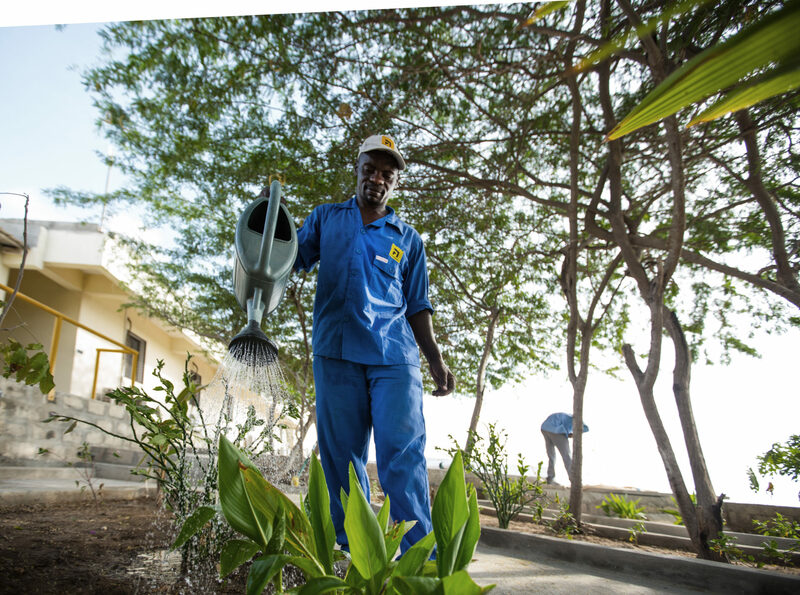 Over the last decade, we have invested in training Somali workers, who now account for 50% of our in-country workforce. Our efforts were officially recognised in 2017, when the Somali Ministry of Labour and Social Affairs awarded us a Certificate of Appreciation for upholding the labour rights of employees. 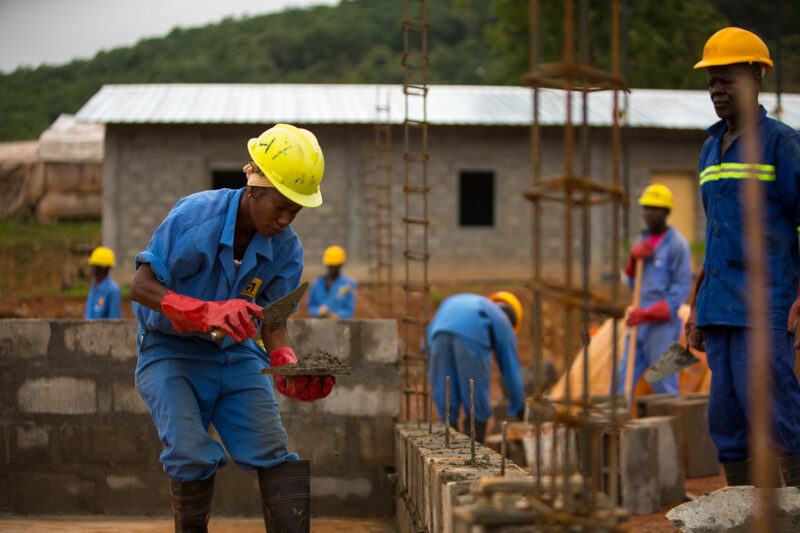 In 2015, the UN initiated a youth employment project in Mpoko, a suburb of Bangui, Central African Republic. Its goal was to help the young, including former combatants, back into employment. However, in December 2017 after a series of setbacks, the programme was stopped. We decided to help alleviate the situation by taking on some of the young people from the programme to work on RA International’s own projects in Mpoko. We focused on teaching them transferable skills in the building trades as well as raising their awareness of health & safety, personal responsibility, accountability and teamwork. Despite numerous disputes and disruptions, the initiative was ultimately successful. By the end of 2018 all our projects were completed and 250 local youths had gained valuable work experience.